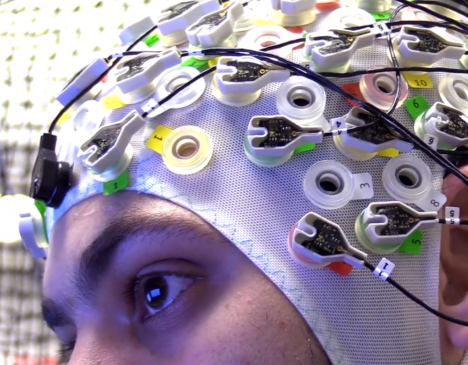 Mind-controlled drones are no longer a thing of science fiction fantasies, now that real working prototypes can be steered with thoughts relayed via a skullcap wirelessly connected to a computer. 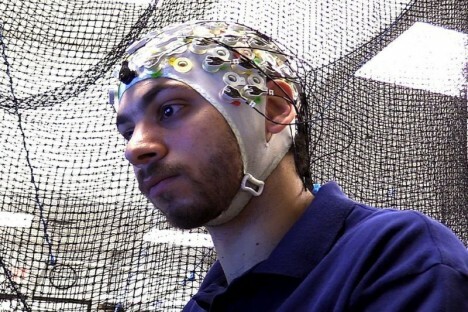 Brain activity is calibrated to the user and a series of over 100 electrodes interpret the data, turning it into a physical response, thanks to work done by Arizona State University researcher named Panagiotis Artemiadis (Human-Oriented Robotics and Control Lab director). At the intersection of mechanical and aerospace engineering, his work on machine-brain interfaces has made it possible for minds to guide otherwise-unmanned aerial vehicles. And not just one drone: up to four can be moved around in a swarm, which makes it possible for this technology to enable even more complex navigation than a traditional joystick would permit. 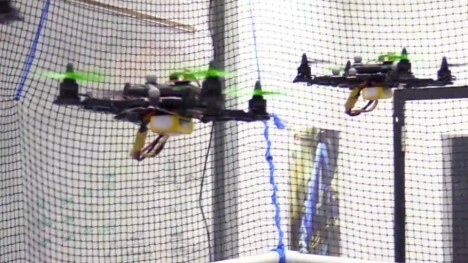 Users imagine what they want the drones to do, and watch them perform on the monitor. 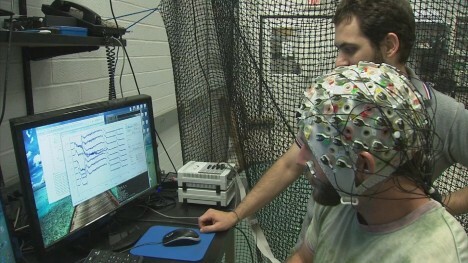 The trick is that there may not be a single brain pattern that maps to one movement initially, but for any given user repetition calibrates the system anew. Operating multiple drones creates redundancy, too, allowing a swarm or fleet to carry out a mission even if one of its units fails. See more in Robotics or under Technology. August, 2016.